Sumatra is available for adoption in St. Louis, MO. One-year-old Sumatra was found living on the streets, skinny and with a broken hip. Thanks to surgery and plenty of food, he’s now a healthy cat. Though still shy, Sumatra finds the most comfort in his best friend — a fellow feline living in his foster home. They’re often found snuggling in a single chair or playing together. 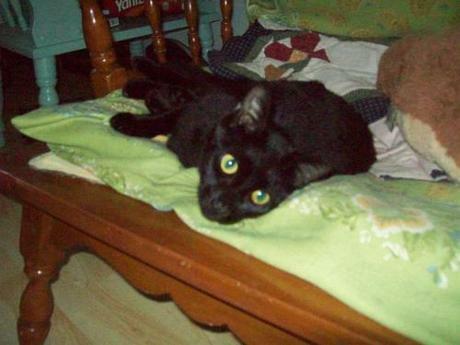 Sumatra gets along with both cats and dogs and is neutered and vaccinated. Sumatra is available for adoption through Tenth Life Cats in St. Louis, MO.